Using biotech solutions to create clean technologies is not something new. We have been hearing about Organic LED (OLED) light, and bacteria that produce energy for a while now. There are several companies producing biofuel using genetically modified algae or bacteria, and organic photovoltaic (OPV) is getting closer to becoming a viable technology. The novelty here is using viruses to build lithium batteries. According to NPR Health & Science, MIT researcher Angela Belcher has figured out a way to build iron phosphate scaffolds within a carbon tube using viruses. The virus, which was genetically engineered to produce an external iron phosphate scaffold, is inserted in carbon nanotubes and then “convinced” to start reproducing and fill the nanotube. These nanotubes then become the electrodes of the battery. 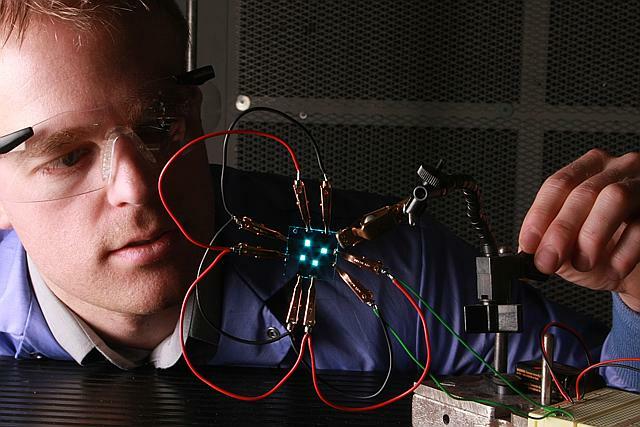 This way, building efficient electrodes becomes much simpler. By tweaking the DNA of the virus, the scientists are able to change the structure created within the nanotubes, modifying the properties of the electrodes. The scientist claims that the technology already produces electrodes on par with current technologies and has the potential to do better in the future. These are really exciting times to live in. You hear almost daily of new technologies being developed that only few years ago still seemed science fiction. I wonder how long before we drive organically-grown cars?